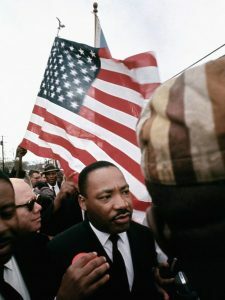 Few, if anyone, has personified a political movement as Martin Luther King, Jr. His voice is instantly recognizable to everyone, his words have left impressions in us all. In connection with the inauguration of the exhibition “A Right to Freedom”, we invite you to a panel discussion with Bernice A. King, CEO of King Center, Atlanta, Georgia and Martin Luther King’s youngest daughter; Dr Karcheik Sims Alvarado, who recently published the book ”Atlanta and the Civil Rights Movement 1944–1968”, and Ashley Woods, curator of ”A Right to Freedom”. Fundamental in King’s work were his religious beliefs. They strengthened him in adversity and formed the community from which his work emanated. 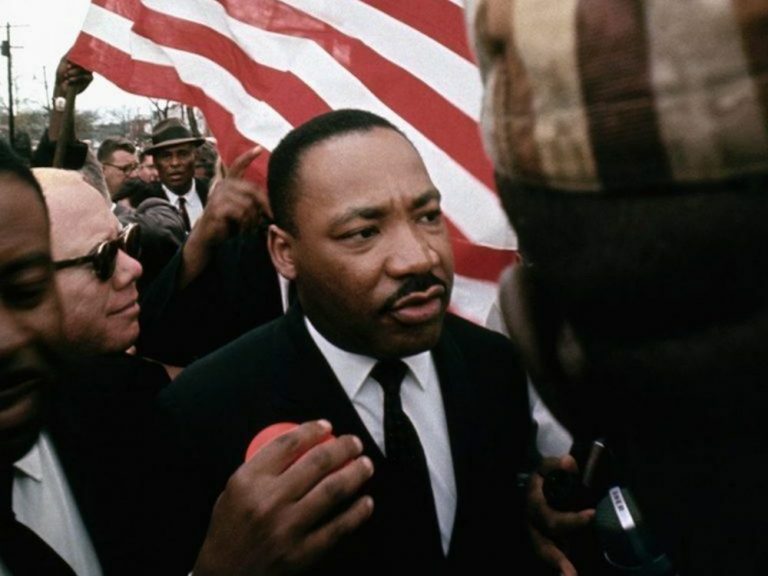 With this background it was clear to King to anchor his civil rights moment in a principle of non-violence. The struggle should be fought with peaceful protests, agitation and enlightenment. In 1964, King was awarded the Nobel Peace Prize. He then joined a fellowship of Nobel Laureates who – with non-violence as a guiding light – fought against injustice and oppression. When the Nobel Museum now inaugurates the exhibition “A Right to Freedom”, 50 years after King’s assassination, it is to celebrate one of the most notable Nobel Laureates. Interest for his life and work is still high – and the struggle for human rights is far from over. The exhitibion is presented by the Nobel Museum in collaboration with The King Estate. Free admission. Limited number of seats available, a ticket is needed. There is also room for a standing audience. Welcome! The panel is also the start of Nobel Calling, the week when we celebrate the 2018 Nobel Prizes. An exhibition about the struggle for the equal worth of all people.